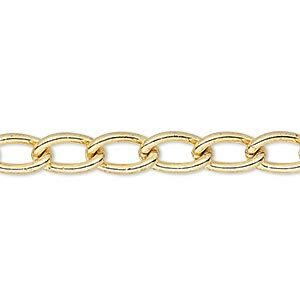 Chain, antique brass-plated steel, 3mm curb. Sold per pkg of 5 feet. 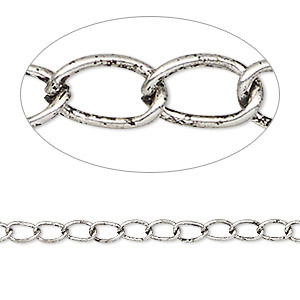 Item Number: H20-4263CH Have a question about this item? 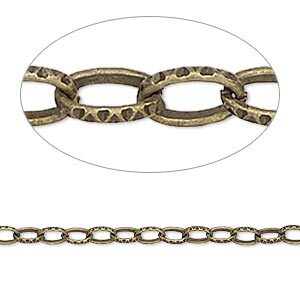 This curb steel chain features an antique brass plating and offers a cost-effective alternative to gold for the designer looking to save a buck. 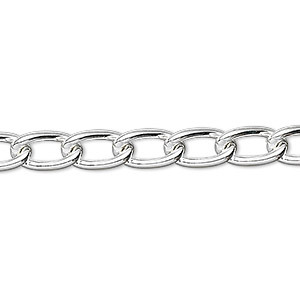 Recommended for use with lightweight designs. 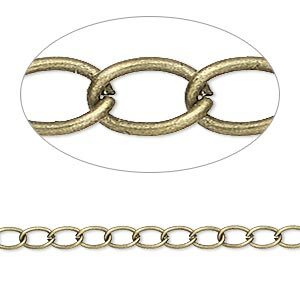 Chain, antique brass-plated steel, 3mm curb Sold per pkg of 25 feet. 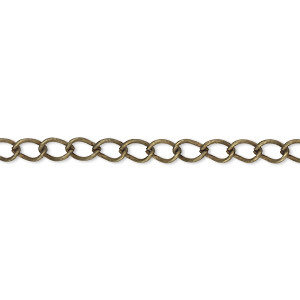 Chain, antique brass-plated steel, 3mm lightweight curb. Sold per pkg of 5 meters.